As a busy mum with 4 kiddos between 1.5year-old to 9-years old, I have started cutting down on doing product reviews to focus on our coming 5th kiddo (due Oct 2018), childcare and family life, home cooking, education, helping with hubby's administration site of the business and sharing informational articles on my FB fan page so I am only accepting and prioritizing products that can fit into our family dynamics (especially books on parenting or educational stuff, family products, something along those genre)! Reading is my passion and coupled with books that are of parenting, children, family or religion or educational genre, all the more I gotta say yes! "From the global authority on record-breaking comes the 12th edition of the world’s best-selling gaming annual. 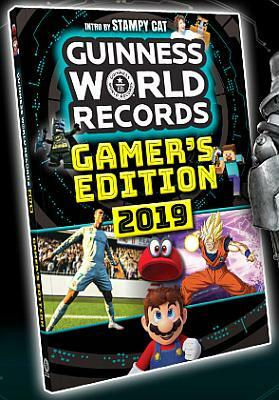 Introduced by Minecraft superstar Stampy Cat and packed with the latest, greatest records from all your favourite games – including Fortnite, Super Mario Odyssey, Monster Hunter: World and FIFA – Guinness World Records: Gamer’s Edition 2019 is required reading for every gamer. Just ask the five-and-a-half million readers who’ve made it a sensation worldwide!" 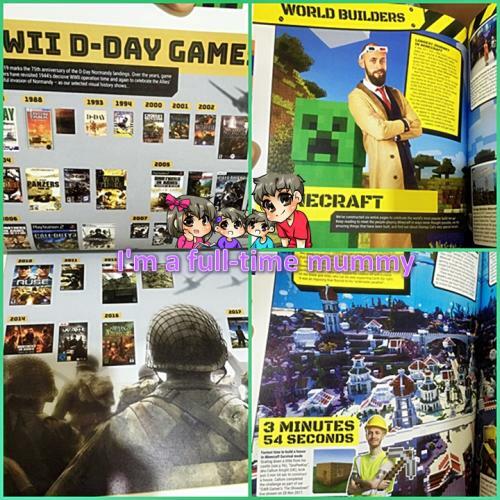 We received the "Guinness World Records: Gamer's Edition 2019" book which I had intended for our almost 10-year-old boy to use as he is into computer gaming nowadays and it would be nice for him to be able to read up more on other games. There are tons and tons of games being featured, from old vintage consoles and games right up to the latest game trend nowadays. If your kiddo is into Minecraft (like mine! ), there are some pages featuring Minecraft reader challenges. In this book, there are 4 specially designed Minecraft records created just for the launch of this book. Your kiddo can choose any (or all!) and make his/her attempt to challenge that on either PS4, Xbox One, Switch or PC. Overall, this is a fun and educational book to own especially if your child (or even yourself) likes to read and find out more about the odd and interesting things happening in the gaming world! The book is available at all major bookstores in Malaysia.